Today, I'm exceptionally excited to announce the release of the second edition of my novel series. This new edition is replacing the old set, so if you have first edition novels then it means that you now have a rare and collectible item. The second editions have additional material, extended details, and brand new artwork. The books look absolutely beautiful. See for yourself! Okay, now that many of Flurry's fans have been wondering what that mysterious news post was all about I figured it's now time to spill the beans. I have written a short story that follows Chingu and his brother on an adventure of their own that parallel's and eventually converges with the events of Flurry's upcoming novel. I'm extremely excited that I met some amazing individuals to help bring this story to life in a single issue comic book. The comic book cover, which I revealed in the last news update, was drawn by Ludo Lullabi and colored by Tony Washington. The inside of the comic book will be drawn by Luís Figueiredo and also colored by Tony Washington. We're currently working on a Kickstarter video. 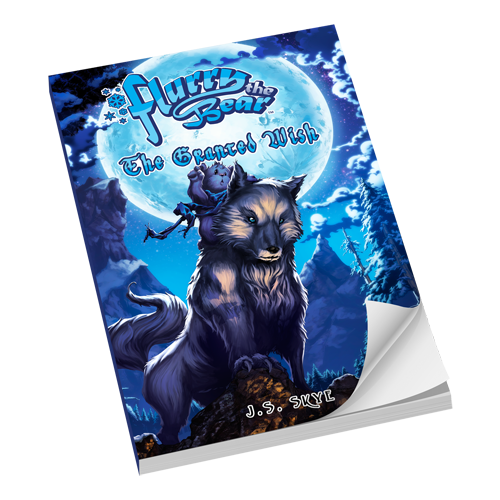 As soon as our Kickstarter campaign goes live, the news will be posted here on Flurry's official website. 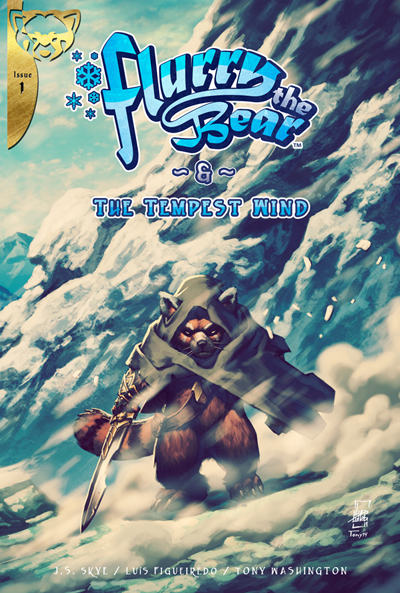 In the meantime, and during the Kickstarter campaign, we will frequently be updating our BLOG about all things related to this new comic book which is named The Tempest Wind. We're all very excited about this and we're counting on your support to make this a reality. The incentives packages are going to be so sweet! I can't wait to reveal this stuff soon. Stay tuned! The time has come! I'm finally revealing a sneak peek at one of a number of secret projects. 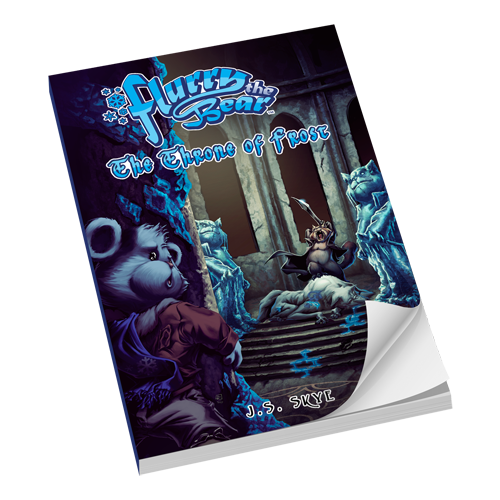 There are a lot of Flurry the Bear goodies coming in the next few months. 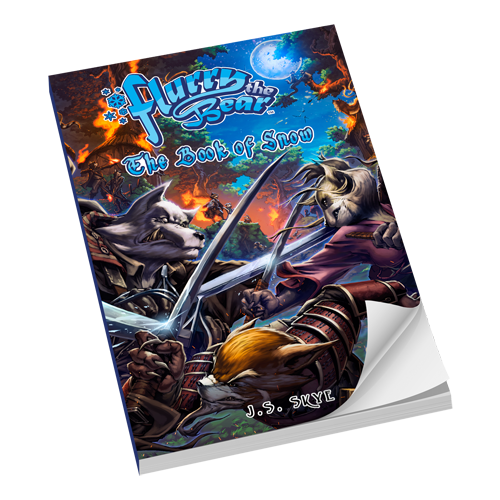 I will spill the beans on Facebook eventually, but I like to reveal things on the official website first so that Flurry's loyal visitors get the scoop first. So, there's still a lot going on behind the scenes. This image is here as a teaser. More details about this will be along in a few weeks. For now, I hope you'll marvel at this beautiful cover and wonder what it's about. Just a quick update. This one is shorter than usual, but I wanted Flurry's fans to know that he has a new coloring page up. 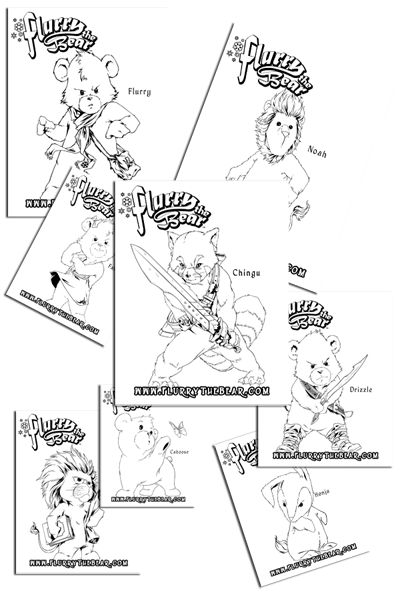 For parents of younger children, I put up the coloring page for younger kids to enjoy coloring while older kids can read the novels. © Copyright 2008-2019 J.S. Skye.